So, how are those New Year’s resolutions going? The ones you made to exercise more, make healthier food choices, spend more time with family, and spend more time in God’s Word? If you made it past January 12—identified by some as “Quitters Day,” the date by which most people will have given up on their resolutions—you’re doing great! Keep up the good work. And if you didn’t—pick yourself up and start again! January 1 is just a single day on the calendar. There are many more days, weeks, and months ahead in this still-new year. For children and youth, this can be an important, life-shaping lesson. A broken resolution—even that one we made about reading the Bible more!—doesn’t cut us off from God’s grace. Through our Baptism into Christ, we are daily forgiven, as the old Adam in us is drowned and dies, and we are raised again as a new creation “to live before God in righteousness and purity forever,” as Martin Luther writes in the explanation of Holy Baptism in his Small Catechism. If you read my three earlier suggestions for how to encourage daily Bible reading and devotions among the kids you work with at church or your own children and youth, you know that one idea was to try writing out a Scripture verse or two each day. I took this up as one of my own resolutions for the year, and while there have been a couple of times I’ve missed or needed to make up the next day, I’m still committed to the challenge. My daily Scripture-writing habit is still in the process of being formed, as are the daily Bible reading & devotion habits of your kids! Keep supporting them, spurring them on toward love and good deeds, as the writer of Hebrews encourages his readers (10:24). As you seek out ways to do just that, you might try these three simple ways to engage children and youth with daily Bible reading, time spent in God’s Word, and personal devotions. I hope they’ll be a blessing to you! Martin Luther is often quoted as having said, "He who sings, prays twice." Whether or not the great reformer actually said those words, the sentiment has merit. Singing is a great memory aid, and can help our kids learn Bible verses and Scripture truths by heart, so they can be recalled in a moment of need. Did you know you can stream Concordia Publishing House music on Amazon? Try, “Alexa, play Sing the Faith” or, “Alexa, play Learn by Heart Bible Songs.” Or you might try picking a family hymn or spiritual song each month and commit to learning it by memory. Use a copy of CPH’s Lutheran Service Book or My First Hymnal, find a lyric video online, or encourage your kids to learn it on their instruments, and then sing it together in the evenings before bed or in the car as you run errands. Spend some time each Sunday, on your own or with your family, writing out a week’s worth of Bible verses onto note cards. Tuck the cards into backpacks, lunch boxes, briefcases, sports equipment, purses, shoes, school books, pillowcases . . . wherever you think they’ll be found! The discovery of each card will be a reminder to them that you think God’s Word is important and vital for each day, and that you love them enough to share God’s Word with them. I’m still finding little cards with Scripture verses on them, sprinkled throughout a devotional book I took with me on a women’s retreat years ago, thanks to one of our Bible study leaders. Every time I come across another card, I’m reminded of God’s faithfulness to me, as well as the sisters in Christ with whom I shared that retreat. If your kids (and you!) spend a lot of time in the car or on a bus, traveling to/from school or work or sports and other activities, get set up with an audio version of the Bible or audio-enabled devotional app. The YouVersion Bible app has a number of free audio versions of Scripture available. Pick a book, and start listening! And CPH’s Portals of Prayer offers a digital subscription that includes audio as well. Use the time available, whenever and wherever you are, to bring God’s Word into your kids’ lives. Listen together as you drive, then pray a quick prayer together before you all jump out of the car, that God would bless you as you hear His Word and guide you as you live your faith. Read through our the latest edition of Lutheran Life for even more tips on reading the Bible with your children. 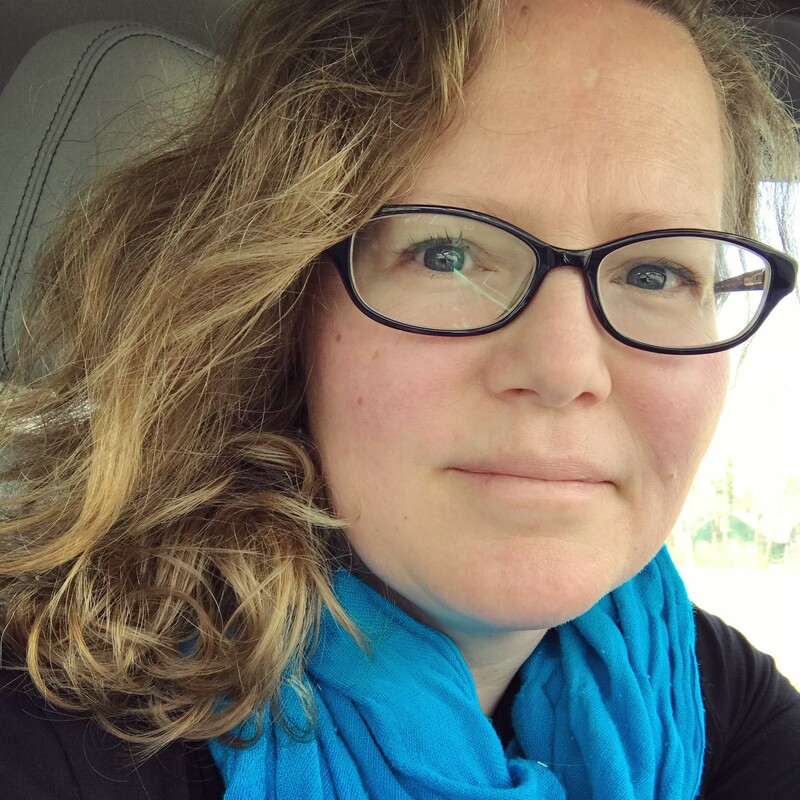 Caitlin is a DCE with 20 years’ experience in congregational and outdoor ministries. She is wife to Andrew, a pastor, and mom to three little boys. Caitlin enjoys gardening & home preserving, Jane Austen, and photography. Her life is powered by a lot of forgiveness, and a lot of coffee.